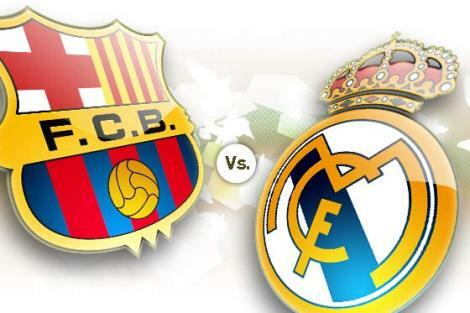 This Weekend La Liga will host the greatest rivalries of all, Barcelona vs Real Madrid at Nou Camp. Starring best footballers of this era, Ronaldo, messi and Iniesta, this contest will showcase a lot more than just a simple football game. The match will kick off at the stadium of Catalan giants at 18:50 GMT. The match starts off with both teams in entirely opposite positions they were in the last season. Barcelona is in the top spot at La Liga and have won all the 6 games they have played. On the Contrary Real Madrid has lost 2 games and drawn one and are 8 points behind the League leaders. These stats make this game a Must win for Real Madrid as an 11 point lead would be mammoth task for Real Madrid if they want to keep their title. Although this is an early part of the season, considering Barcelona’s La Liga Record of Only 6 defeats in the last 3 seasons, it might be nearly impossible to overcome the Catalan Giants. Barcelona, although in a great run of Form, have major issues in their back line with Carlos Puyol out with a dislocated elbow and Gerrard Pique recovering from injury as well. Tito Vilanova will start with Mascherano and Alex Song at the back if Pique isn’t available. 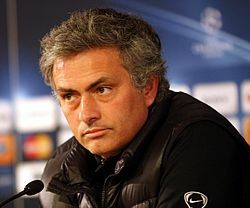 Jose Mourinho will have to select a playing 11 from a full squad with no Injuries. With Play making position contested by Kaka, Ozil, Essien and Modric, it will be a tough call to make. Ronaldo and Messi both will try to orchestrate a victory for their Team. Ronaldo has currently scored 12 goals in all competition including goals against Real Madrid in Spanish Super Cup. These teams have come up against each other 222 times before with Barca winning 87 times while Real 88 times. In the last two Meetings, Real has had the upper hand with a draw and a win over FC Barcelona. There will a coordinated Independence Chant at 17 mins.14 sec. of match to mark Catalan Independence.